Price: 55€ per person for 3 hours. To whom this is not enough, there is an additional hour for 15€. Simply you come. 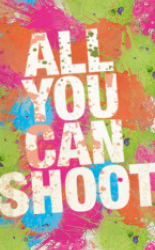 You order a package called 'All you can shoot'. We give you the equipment, full overview and from that moment you've played your first game, these 3 hours begin. It just depends on you if you play 10 or 50 games and if you shoot 250 or 2000 paintballs. After every game we fill the hopper and you have to take care only of the tactics. There is no reason to be afraid of shooting. Just hit your enemies. Playing with All you can shoot package was never easier. 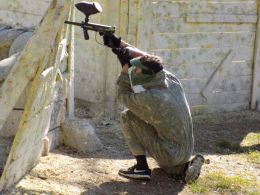 Thanks to unlimited ammo the games are organized in certain speed and excitement. 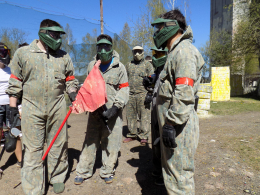 This type is convenient for a teambuilding event or group event. There is no difference while playing. It is required to order the event 48 hours in advance and it is a duty of whatever field you choose. In shorter time we consider it on mutual agreement.